Thousands of teachers are using these wonderfully motivating belts as a reward system with their recorder methods. 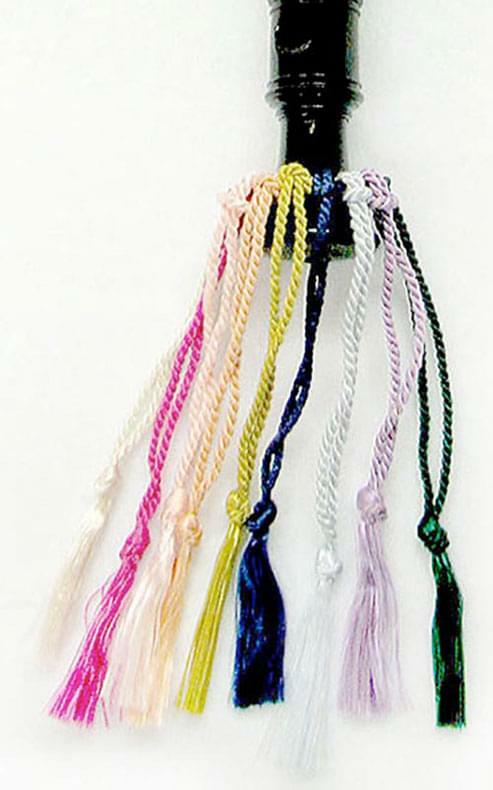 We have come up with very neat, richly colored tassel-style reward belts that look great hanging from the recorders and are easy to prepare on your end. We hope that the photos do them justice. They are soft, bright, and made from quality embroidery thread. And the colors are safe to use with your young players. The loop is approximately 4 inches, and it hangs nicely from the recorder. What a distinctive presentation! You can buy the belts by the color, or in other packages, big and small.